It’s springtime for the lawyers who contend Poland Spring water doesn’t come from an actual spring. A federal judge in Connecticut on Thursday gave the green light to a class-action lawsuit claiming the bottled water company’s owner, Nestlé SA, defrauded customers by filling their bottles with ordinary groundwater — not “100% Natural Spring Water” as the company claims. 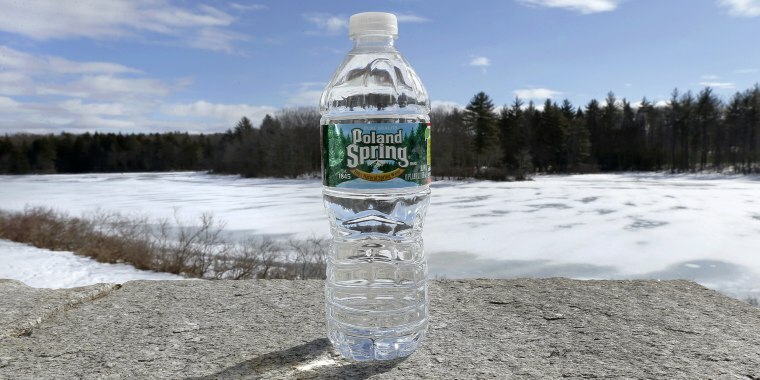 The lawsuit filed in U.S. District Court in Connecticut seeks unspecified damages and a permanent injunction that would bar Nestlé Waters from claiming the water comes from a spring. “Nothing in the Court’s recent decision undermines our confidence in our overall legal position," a Nestlé Waters spokesperson said in a statement. "We will continue to defend our Poland Spring® Brand vigorously against this meritless lawsuit. But the company has insisted in the past that Poland Spring complies with federal Food and Drug Administration’s standards for what can be described as spring water. On its website, Poland Spring describes how in 1797 Hiram Ricker “discovered the fresh taste of the spring water at the original source” on his property in Poland, Maine, and over a half-century later it was being sold for 5 cents a gallon. The suit contends that the spring ran dry nearly 50 years ago and that the company now relies on “phony, man-made ‘springs’” that are really wells, some of which are located near former landfills — not the in the virgin forests depicted on the bottles. In 2007, Poland Spring racked up about $400 million in sales in the U.S. and has earned between $300 million and $900 million annually for each of the past 11 years, the class-action lawsuit contends. At least 13 million consumers nationwide buy Poland Spring water, it says.